Locking ring opens and closes with the touch of a finger. 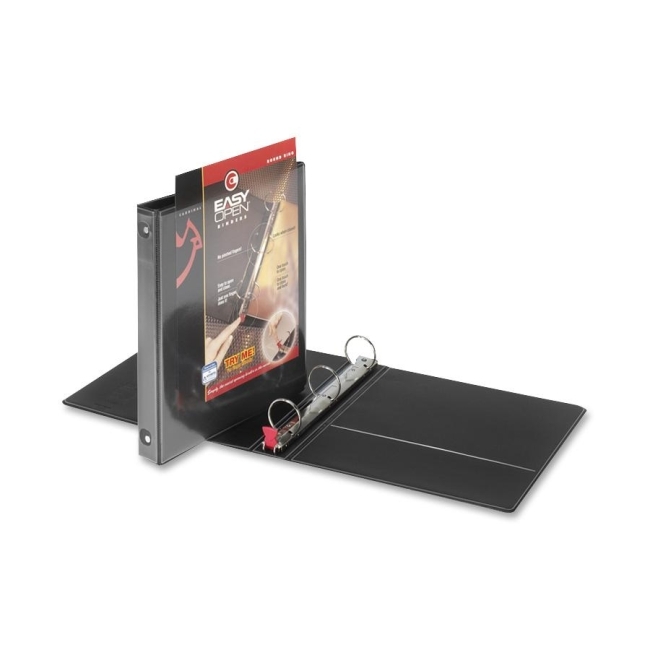 Locking mechanism engages instantly when closed, eliminating two-handed, two-step operation. Delayed tension means closing rings will not clamp down and pinch fingers if they get in the way. Easiest, safest ring metal available. Clear overlay on front, back and spine holds custom title sheets. Horizontal inside pockets. Received "Ease-of-Use" Commendation from the Arthritis Foundation.